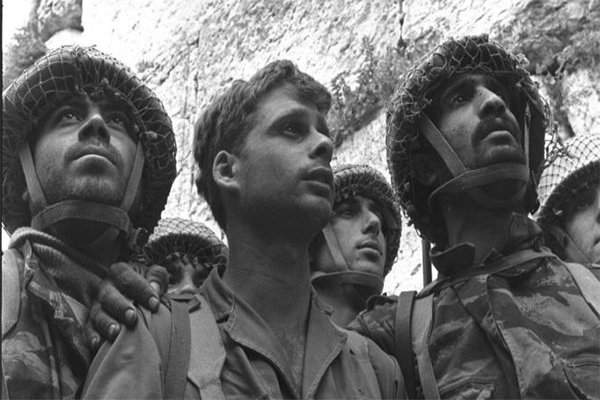 Amazingly, in the CBC’s reporting on the impact of the Six Day War as we mark its 50th anniversary, nowhere did reports by Mideast correspondent Derek Stoffel mention that the war was waged by pan-Arab armies seeking the destruction of Israel. 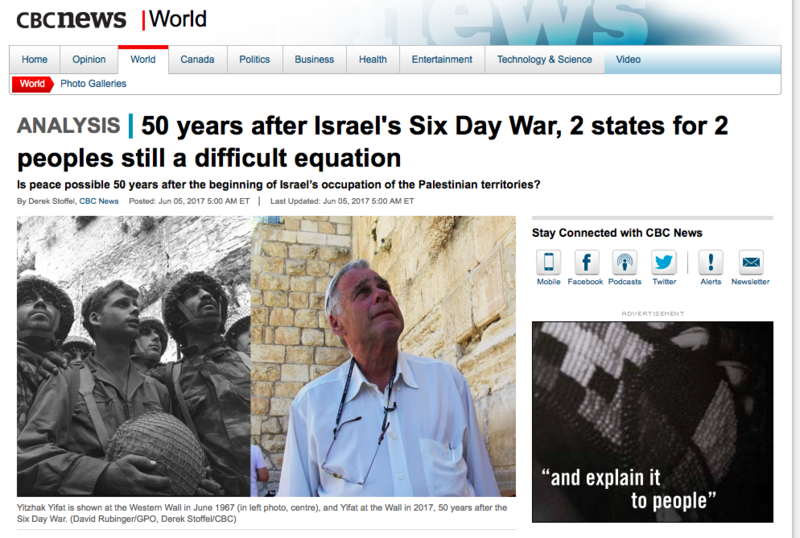 Derek Stoffel’s June 5 article on the CBC’s website and his June 6 CBC Radio report on World at Six (listen by clicking here or on the image below), Stoffel failed to mention the cause of the Six Day War, where Egyptian, Jordanian and Syrian armies tried to annihilate the State of Israel. As history confirms, Arab leaders using bellicose rhetoric and actions declared their intent to wipe Israel from the map. Egyptian forces amassed on the border, Egypt closed the Straights of Tiran blocking off oil access for Israel (a casus belli), and UN peacekeepers in the Sinai fled at Cairo’s insistence. Jordan joined the war by shelling Jerusalem (despite Israel’s pleading that it not do so), and so did Syria. The Associated Press notes that Israel feared it would be “wiped out”. Israel launched pre-emptive air strikes on Egyptian, Jordanian and Syrian air forces destroying them all effectively. And yet, these CBC reports by Mr. Stoffel failed to mention the cause of the war. After all, war didn’t just break out. To focus only on the aftermath of the Six Day War and to completely ignore what started it, was most unbalanced and unfair. As such, we requested that the matter be corrected for the record in complaints filed with CBC editors and we await the CBC’s reply. Stay tuned to this page for future developments.